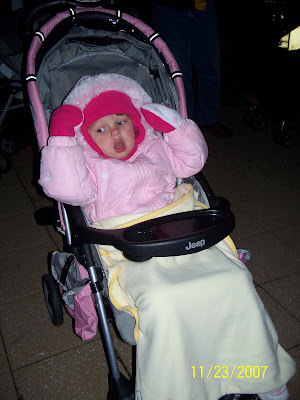 We took Zoe to her very first Santa parade last night here in Madison, NJ. 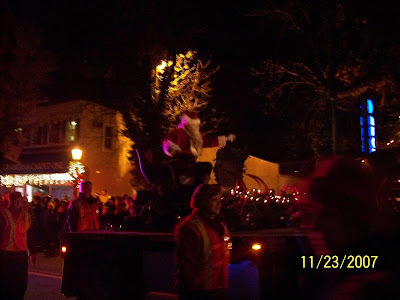 When I was little we used to go every year to see the Santa parade in Morristown, NJ. 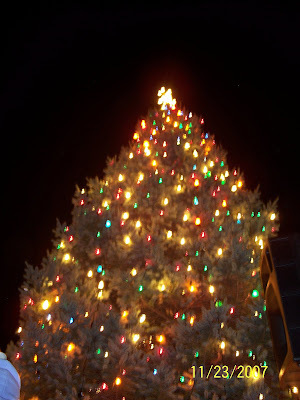 I have fond memories of freezing our butts off while waiting to see Santa "light the green". I hoped Zoe would like starting this tradition, too. She seemed to really enjoy it... and didn't seem to mind the chilly weather at all. We buddled her all up and sat her in her stroller with a blanket. The only issue she seemed to have was that her hood and hat kept her from watching things go further up the street. Then the mittens had to go when the "elves" walked by throwing KitKat bars. Those mittens couldn't come off fast enough. closely followed by Santa. This is the best picture I could get. Again... it was dark. But also... WOW can Santa dance!!! He was just a moving and a shaking. He didn't make it easy to get his picture. We were pretty impressed. 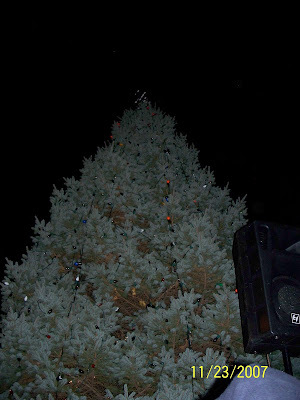 The last few years the tree has been a bad one... or the lights have been really poorly done. This year... beautiful. 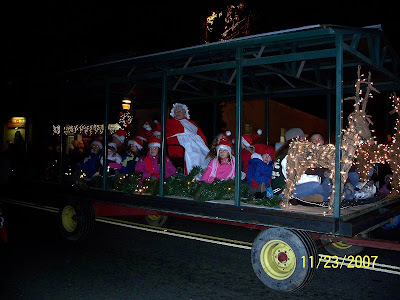 We'll really enjoy driving through town to see it this year. And so the Christmas Season begins!! !